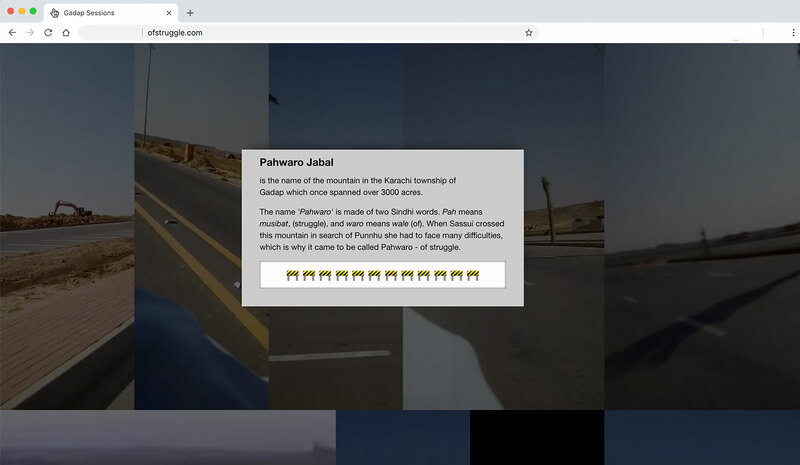 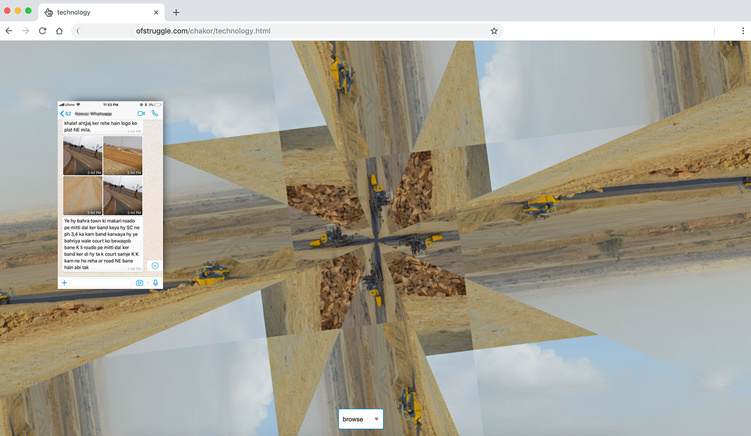 Of Struggle is an interactive browser-based archive, mapping the story of land development and disappearing ecologies in Gadap, a suburb of Karachi. 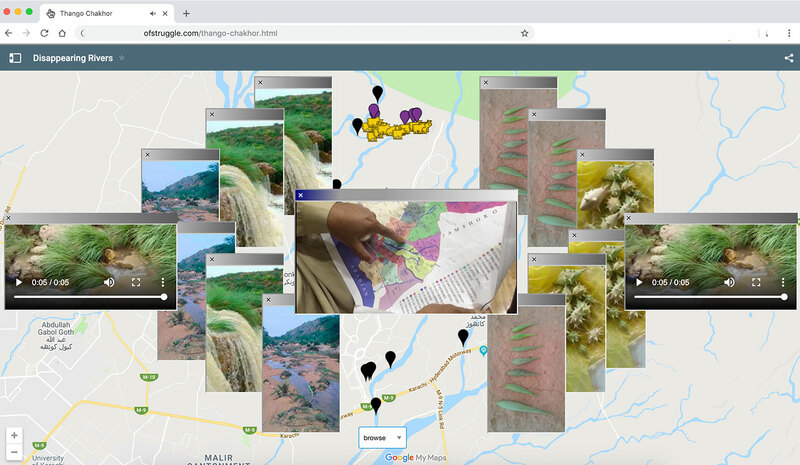 It sets out to study and understand the historical township of Gadap as it undergoes rapid and violent transformation at the hands of the real estate mega-development corporation Bahria Town. 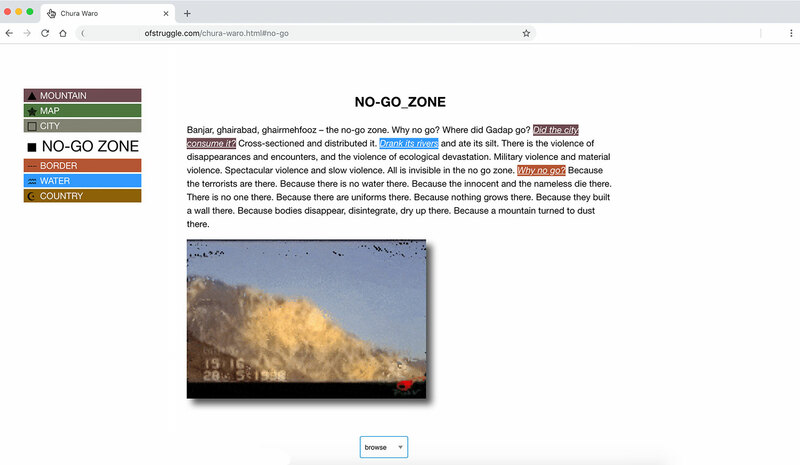 This archive studies the changing landscape of Gadap through modes and forms of visuality and erasure, surveillance and opacity. 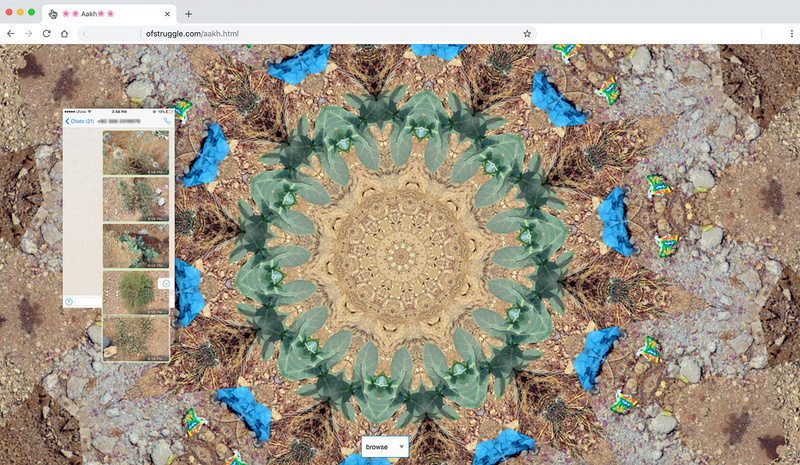 This work is authored in collaboration with Zahra Malkani and Shahana Rajani.